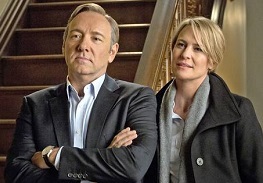 After viewing two or three episodes of the political drama House of Cards, I had doubts about the lasting appeal of Netflix’s ballyhooed, glossy new series. Too much “inside baseball,” I thought. Too much chatter about primaries, redistricting, the congressional pecking order, and that sort of thing. I wanted more emphasis on human relationships. Unfortunately, the other problem with the show seemed to be the humans, each of whom was so unpleasant, so motivated by sheer self-interest, that it didn’t seem likely that any of them were capable of human relationships — not decent ones, at least. OK, so I’ll admit it: I suppose I wanted The West Wing. But midway through the 13-episode series, a funny thing happened on the way to the Senate: The incessant political jargon began to fade into background noise, and the bed-hopping, glad-handing, back-stabbing characters stopped annoying me and began to resonate. They got interesting. Really interesting. 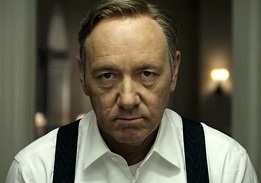 And this was several episodes before House of Cards morphs into a full-bore thriller. It still wasn’t The West Wing, but then it wasn’t trying to be; Cards is the darker side of politics. 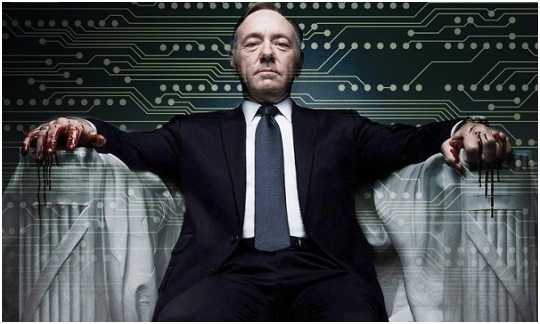 That’s Underwood, for you, and that’s the difference between West Wing and House of Cards. They both take place in Washington, and they both have top-notch writing and acting. But that’s about it. The West Wing strove to make us feel good about our democracy, and often succeeded. 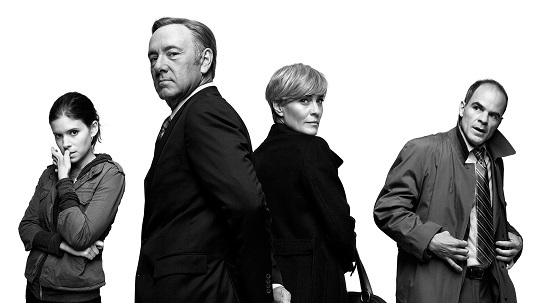 House of Cards preaches too, but its message is: Watch Your Back. Underwood certainly watches his. 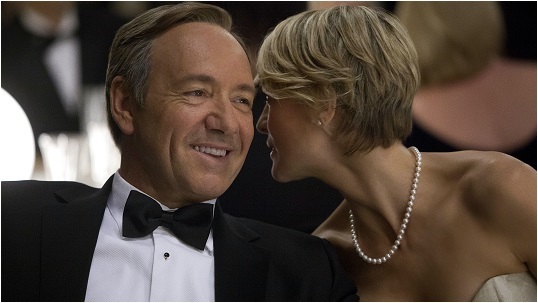 Spacey’s portrayal of southern Democrat Underwood, lying and manipulating his way into greater and greater power, might be television’s most charming, oily villain since J.R. Ewing. 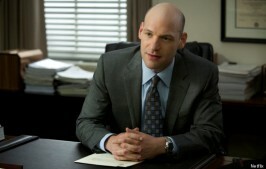 Also likely to show up on best acting ballots are Robin Wright, as Underwood’s icy “power wife” Claire, and, if there is any justice in the awards world, Corey Stoll as a young congressman who makes the mistake of letting emotion cloud his judgment.